The Hunting Party is the sixth studio album by American rock band Linkin Park. The album, self-produced by band members Mike Shinoda and Brad Delson, was released by Warner Bros. Records on June 13, 2014. It is the first album since Meteora not to be produced with Rick Rubin, after producing the band’s previous three studio albums. 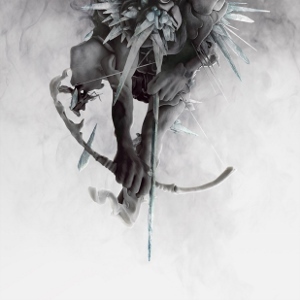 The title The Hunting Party is a contextual metaphor: Linkin Park is the party that is hunting to bring back the energy and soul of rock. The Hunting Party is a departure from the electronic rock sound of the band’s previous two studio albums. The album, described by Shinoda as simply “a rock record”, serves a statement by the band against contemporary mainstream and active rock bands, accused by Shinoda as “trying to be other bands and playing it safe”. Packaged by an artwork by Brandon Parvini based off an original drawing by James Jean, the album took under a year to record and produce, with material being improvisationally written in the studio by the band. The album also features guest appearances from Page Hamilton of Helmet, Rakim, Daron Malakian of System of a Down, and Tom Morello of Rage Against the Machine, marking the first time Linkin Park has collaborated with other artists on a studio album. The album was promoted by the band and Warner Bros, with multiple promotional teasers and interviews produced and published in the lead-up to the album’s release and listening parties of the album being held worldwide on multiple dates. The band embarked on the Carnivores Tour, a double-headline tour with Thirty Seconds to Mars, in support of the album. So far, four singles and two promotional singles from The Hunting Party have been released; “Guilty All the Same” in March 2014, “Until It’s Gone” in May 2014 and a triple-release of “Wastelands”, “Rebellion” and “Final Masquerade” in June 2014, the former two being promotional releases while the latter was released as a retail single. “Rebellion” was eventually released as a retail single in October.